Reliance Standard Life Insurance Company (Reliance Standard) is a leading insurance carrier specializing in innovative and flexible employee benefits solutions including disability income and group term life insurance, a suite of voluntary (employee paid) coverage options and fully integrated absence management. Reliance Standard markets these solutions nationwide through independent brokers and agents to employers of all sizes. 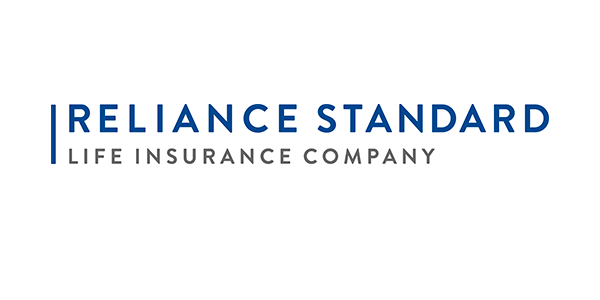 Rated A+ (Superior) by A.M. Best, Reliance Standard was founded in 1907 in Chicago, IL, as the Central Standard Life Insurance Company.Reliance Standard is a member of the Tokio Marine Group. Tokio Marine Holdings, Inc., the ultimate holding company of the Tokio Marine Group, operates in the property and casualty insurance,reinsurance and life insurance sectors globally. The Group’s main operating subsidiary, Tokio Marine & Nichido Fire (TMNF), was founded in 1879 and is the oldest and leading property and casualty insurer in Japan.